Today's enterprise data centers are rapidly reaching their limits in terms of networking capacity and physical space. With cabinets and rack systems designed to fit every facility's needs, optimizing the space in the data center will ultimately accommodate greater network functionality for your growing business. 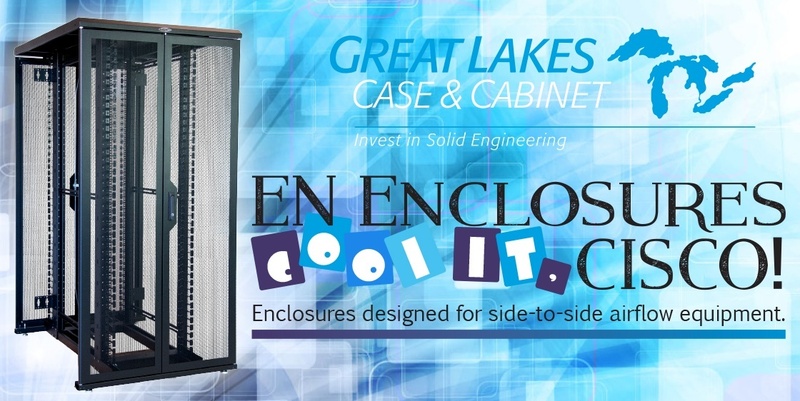 Sturdy construction, intuitive design and an organized approach - Accu-Tech & Great lakes understand these requirements for the IT professional today. Maintaining an effective organizational system can be a daunting take, what with continual compliance regulations to adhere to while keeping a clean appearance to showcase the capabilities of your overall system. The cornerstone of any data center is the rack and cabinet foundation it is run from - the right rack storage system greatly impacts energy usage, security, thermal management and passive cooling, among a host of other critical data center factors. The NEW! Enhanced Rack Series features a new Cable Management Rack (CMR-45U16) and Variable Depth 4 Post Racks. The Racks can be combined with full height baffles, vertical cable managers and sidepanels to create a complete data center solution. Variable Depth Four Post Rack offers a single platform which utilizes a proprietary side rail to offer a variety of depths, in one-inch increments, from 24 to 36". Once the customer determines the rack depth desired, the tool-less side rail is assembled by aligning the two sections and simply “snapping” the rail sections together, and “locking” the assembly with a plastic rivet. •Allows for a variety of depths, from 24 to 36"
For more information on the CMR-45U16 cable management rack, take a look at this spotlight brochure. Contact your local Accu-Tech representative to learn more about Great Lakes's solutions.